As we have religiously repeated, a good pair of jeans can provide a stylish and practical solution to a year round wardrobe. Ask any man in the know and they will tell you that there is nothing quite as appealing and practical a pair of well-worn in jeans. While we don’t need an excuse at the best of times to pull on our old faithful’s, this Friday has provided the perfect reason to get comfy, with Jeans for Genes Day falling on the first Friday of August each year, which happens to be today! Expect workplaces, schools and the streets to be overflowing with a sea of denim as Australia unites against childhood disease. CMRI has been a pioneer in the field of pediatric medical research since its inception in 1958. There are many ways you can get involved today. The most easy of which is by simply purchasing a piece of merchandise from one of the many teams of volunteers which are spread across the streets of Australia. Or you can go one step further and hold your own Jeans for Genes event, with the money you raise going towards helping scientists test a new drug that could treat cancer, epilepsy or other neurological conditions. A denim party has never been so worthy! We will be rocking our favorite pair of Brax brand jeans in support of this important day. Brax Jeans are renowned for their expertly crafted denim. Featuring rounded front pockets and detailed stitching, the washed denim shade has created a stylish worn-in feel. Made from a cotton and elastane blend to give the perfect balance of comfort and stretch, these babies are going to have us living in comfort city all day! Ron Bennett Big Men’s Clothing has your denim needs met, stocking a wide range of jeans specifically designed with the big and tall man in mind. 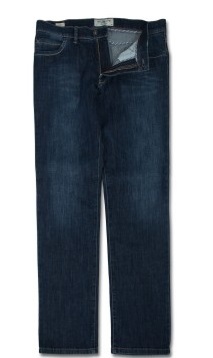 These large size jeans come in a variety of cuts, colours and styles to suit any individual style. While in the past, searching for clothes online may have resulted in a massive headache, Ron Bennett Big Men’ Clothing has made the task easier by offering a vast range of stylish denim options for big men that are perfect for any fundraising occasion. So go on, support a great cause and stay comfortable today! ← The Sports Coat: How, Why, Where & When?